Today's PBOTD is actually an entire series. In part this is because I've never read a single one, despite having had numerous titles through my hands in the days when I was a bookdealer. 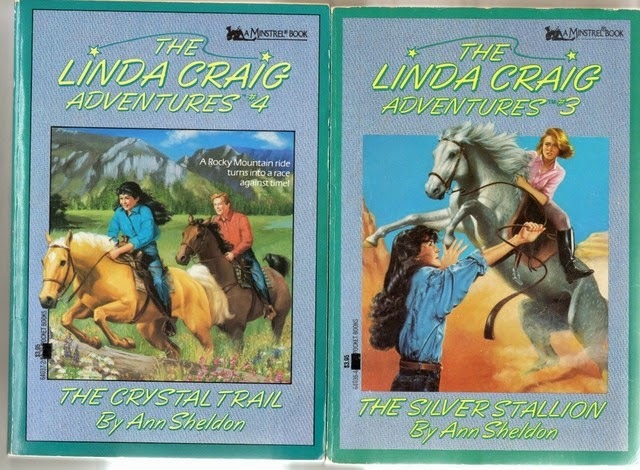 The Linda Craig series is sort of Nancy Drew with added horse (because Nancy did have the occasional horse-related adventure). 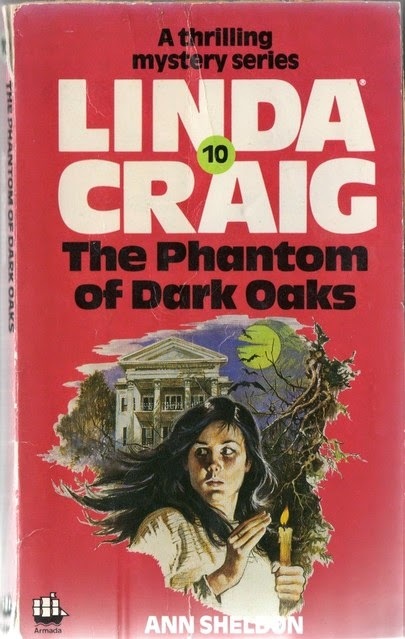 This is not coincidental: Linda Craig was created by the same team who bore forth Nancy Drew: the Stratemeyer Syndicate. They were responsible for several well known and immensely long-running American series, including the Bobbsey Twins, the Hardy Boys and the Happy Hollisters. 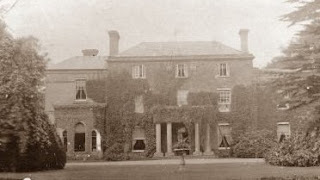 The syndicate aimed at producing what children wanted: entertainment and a series they could get involved with. The stories were ghost-written, to insure the publishers against author fatigue, because no matter how much readers love a character authors can and do go off them. Quite who the ghostwriters behind the Linda Craig series were I don't know: the only one I've been able to identify with any certainty is Alison Hart (Alice Leonhardt). 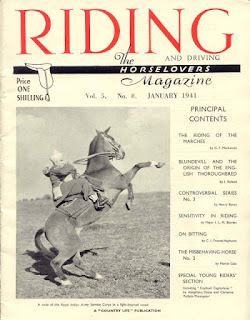 The Linda Craig series features Linda, and her palomino filly, Chica. 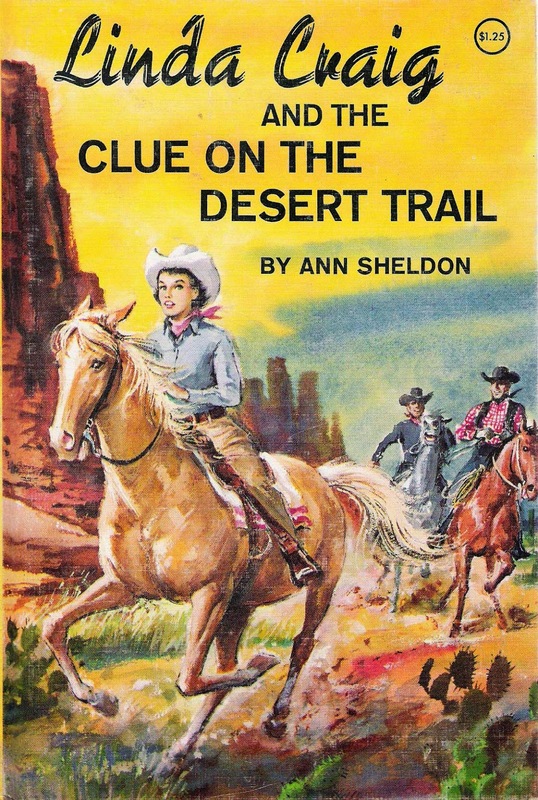 Linda and her brother Bob are orphans, who come to live on the Rancho Del Sol with their grandparents, where Linda enters a life which is a constant whirl of mystery, with a background of Western riding. The series was produced in three bursts. The earliest books have Linda as the girl you could aspire to be: she's 16, but the last printing of the books has chopped Linda's years away radically. She's now ten. And her horse is called Amber. For plenty more pictures of the series, have a look at the Ann Sheldon page on my website.